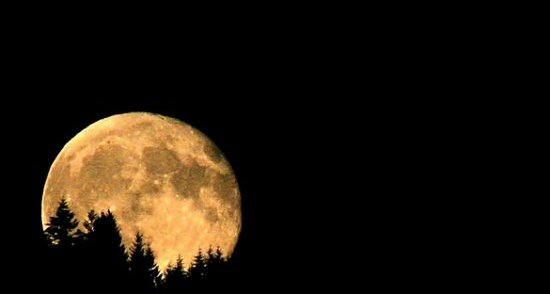 Take a break Friday night, step outside and gaze up at the full moon. July 15 is the full moon for this month — perhaps most commonly nicknamed the Buck Moon. Image credit/copyright to Synapped. Used with permission, all rights reserved. According to many Native American traditions, July is normally the month when the new antlers of buck deer emerge from their foreheads in coatings of velvety fur — hence one of the names for the full moon. The full moon in July also is called the Thunder Moon because of the frequency of thunderstorms during this hot, dry month. Yet another name for the seventh full moon of the calendar year is the Hay Moon — likely no surprise to anyone living on a farm, who may have spent recent weeks cutting, baling and storing hay for the coming winter. And for those of us who suffer from summer allergies, the Hay Moon may be the most familiar moon of all.